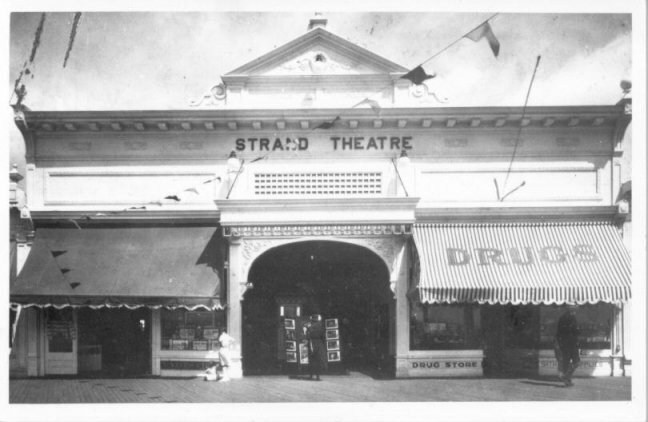 The original Strand Theatre was located between Moorlyn Terrace and 9th Street on the boardwalk. 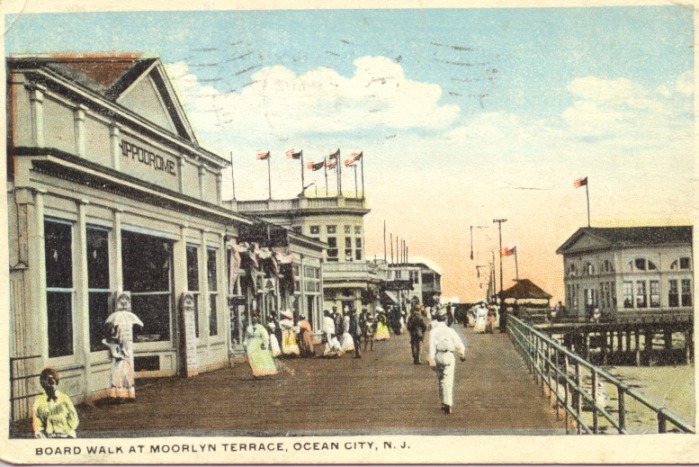 I'm told it was built as a skating rink some distance away from the boardwalk, but was moved up to the boardwalk sometime before 1927. 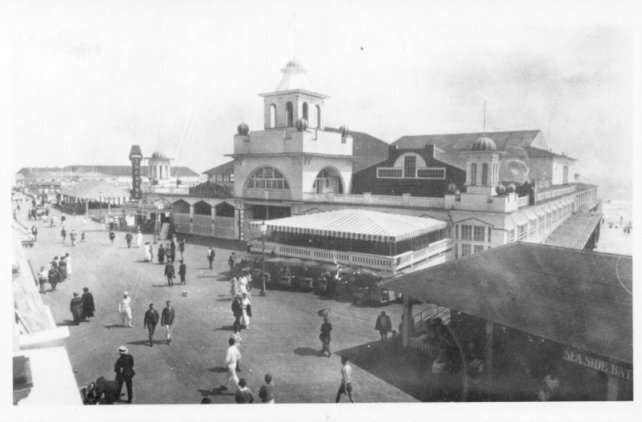 It was originally called the Hippodrome, before the Hippodrome Pier was built. 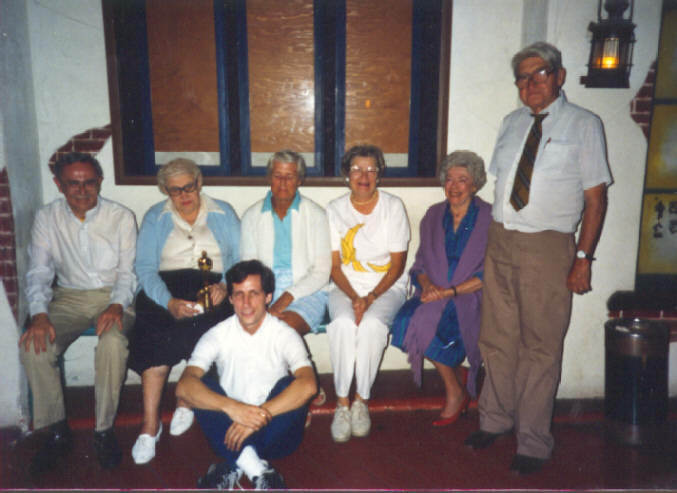 Helen Kertland, who sold tickets at the Shriver theatres in Ocean City from 1923 to 1988 told me of the well polished lobby of the Strand, with fresh cut flowers arranged each day on a table. The theatre had several different facades, including an English Tudor design. The Strand Theatre Company was named for the theatre, owned by William Shriver, and operated by D. Roscoe Faunce. The company later became the Shriver Theatre Company and was owned by Mr. Shriver's daughter, Helen Shriver Schilling. The theatre somehow survived the great fire of 1927, and lasted another 10 years before burning down in the fall of 1937. 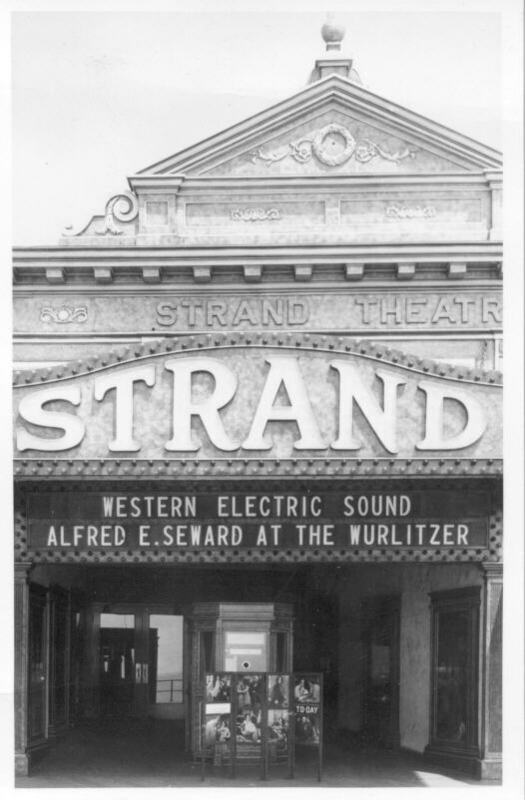 After the Strand burned, William Shriver decided to build a larger New Strand Theatre at the corner of 9th and Boardwalk. A very early 1900's postcard shows the original building as the Hippodrome with the Moorlyn Theatre in the distance. 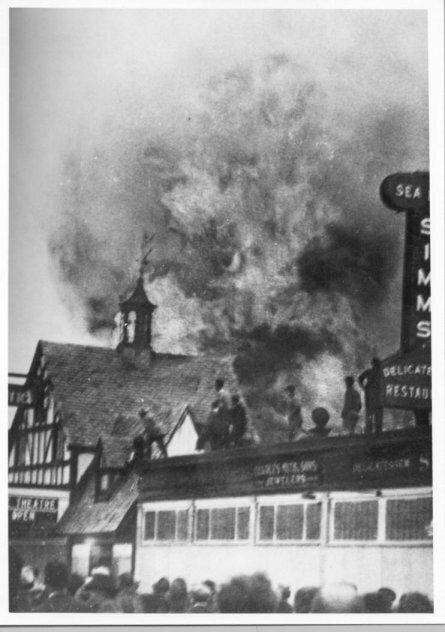 The Strand fire of 1937. The theatre had an English Tudor design at the time.